With an emphasis on joint research and testing as well as govt push for exports, the draft policy has got the direction right. It may be a bit late in the day to deliver on but India’s new defence production policy in the works seems to be a step in the right direction. That it has taken this government almost four years to come up with the master plan could be a sore point, as could be the fact that the private sector has got no major production orders in the past four years, stifling all promises of the ‘Make in India’ boom. One thing where the draft policy cannot be found wanting is ambition — the stated aim is to bring India among the top five nations in the world in the aerospace and defence sectors and as a global leader in artificial intelligence and cyberspace by 2025. 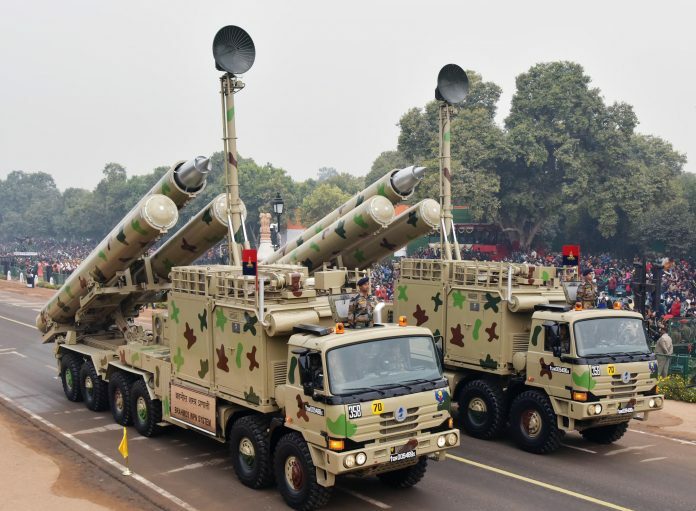 While a reality check would be prudent, the seven-year plan to shore up defence production, being promulgated by the defence ministry, could be the starting point of a new partnership to reduce India’s unending import dependence for weapon systems. A partnership that needs the private sector as an equal, if not the larger partner, in producing complex weapon systems like fighter jets, submarines, battle tanks and warships — all listed as target areas in a draft policy released by the ministry. To start with, a unique aspect of the draft policy is that it spells our quantifiable targets for 2025. This makes the policy — and its eventual success or failure — measurable. The targets are a $26 billion production goal, employment for 3 million people and exports worth $5 billion. It also lists 13 particular areas for import reduction and sees India as a global leader in cyberspace and AI technologies. Out of the 13 listed items, India is closest to achieving self-reliance in at least four areas — warships, missiles, choppers and gun systems. A close fifth where work has already started is ammunition and explosives. Others are much more difficult — things like fighter jets and autonomous systems and night fighting enablers. This is where the private sector can step in. Cutting-edge technologies that have so far eluded government-run research organisations can be assimilated through foreign investments, acquisitions and partnerships by the private sector. As Indian origin companies have shown in sectors like steel and automobiles, the captive demand is high enough to make the case for a global play. It is therefore interesting that the draft policy proposes to undertake a ‘competency mapping’ of the private defence industry. The plan at least is to establish core competencies and the ability of the private sector to absorb new technology. This needs a realistic touch and if done right, could be the blueprint for a future military industrial complex that can cater to both domestic and export requirements. A blind approach on creation of defence industrial corridors will be meaningless without such a master plan. Although the draft policy lays strong emphasis on the private sector — it is mentioned 12 times, as compared to the seven references it had in the older 2011 policy — the challenge will be for the defence production department to step back for an objective look. The department, which is promulgating the policy, is also the custodian for all public sector units and ordnance factories of the country. This, in the past, had led to a certain bias against the private industry that has struggled to get a foothold in the sector. The draft policy, however, holds some promise — it pledges to share testing facilities, research labs and technology with the industry. It goes a step further to suggest that Indians missions abroad should be actively used to promote exports. Even when it comes to instituting awards for technological excellence, a private sector category finds mention. The real test of the government’s resolve to involve the private sector, however, will not be how this new policy rolls out. It will be the execution of the strategic partnerships model — spelt out in 2016 to involve private industry in big projects, including fighter jets and submarines. The idea behind the model was to give these multi-billion dollar deals to the industry, enabling the creation of India’s answer to the Lockheed Martin’s and Dassault’s of the world. The model has gone through a painfully slow process, with not a single tender being issued by the ministry to kick-start the concept. The latest buzz — to allow public sector units to bid for these big projects as well — has caused a fair bit of concern for companies that were looking at defence as a long-term investment sector. How the ministry handles the strategic partnerships model over the next few months is being watched closely and could well determine the real roadmap for the private sector — beyond the planned policy for 2025. Next articleWill Starbucks ‘exhibit’ its military equipment at the great Indian Defence Expo?